Flipkart is giving Moto G (2nd Gen) for 9,999 Rs, the normal market price for moto g 2nd gen is 12,999 Rs, so you are saving 3000 Rs in your pocket. Moto g is one of the most wanted android phone in the smartphone industry and now it is coming with 3000 Rs discount too, so it's a must buy deal opportunity if you were planning to buy Moto G (2nd Gen) Phone. Not only this, you can also exchange your old phone and get more 4000 Rs discount, so it will cost you 5999 Rs only and you saved whopping 7000 Rs. 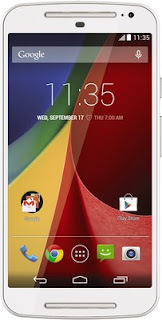 Moto G (2nd Gen) discount and exchange offer is available on both the variants black and white color. For mroe discount, cashback and freebies deals stay connected with All india coupons.